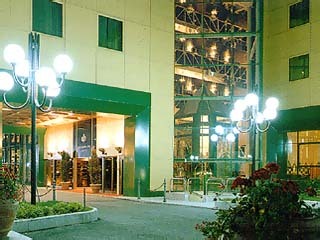 The Royal Garden Hotel, opened in 1995, is situated in a strategic position near the important Business district of Milanofiori and the Forum Sports Complex, a venue for Sports and Theatrical events. The Hotel is completely immersed in the verdant splendour of its large, beautiful gardens, an ideal destination for Business and pleasure trips in perfect tranquillity. The innovative architecture of the Royal Garden Hotel is the greatest expression of synthesis between tradition and modernism in complete harmony with the highest standards of Italian Hotellerie. 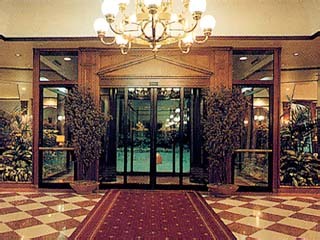 The Royal Garden Hotel is situated in the Milanofiori area, 8 km from the centre of Milan. Accessible from the Milan-Genoa Motorway. The Tangenziale Ovest western Ring Road, exit Milano V.le Liguria - Assago - Milanofiori connects it to the Autostrada del Sole, Turin-Venice motorways as well as the Linate/Malpensa Airports. A free Shuttle service to the nearest underground Station is available Monday to Friday at scheduled times. 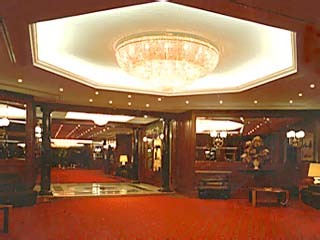 The Royal Garden Hotel consists of 111 Rooms, 40 Apartments and 3 Suites. All Rooms have: Mini Bar, TV with Multilingual Satellite Programmes, Pay-TV, Direct Telephone, private Fax line, Internet, Daily Newspaper, Safe, marble Bathroom with Bathtub, Hairdryer and Telephone. Jacuzzi in the Suites. The Blue Crab offers Lunch and Dinner in a fresh and inviting environment, proposes a very good, wide selection of meat and fish. Most appreciated for its grill. The Captain's Bar - Classy and welcoming, is the ideal place for inviting and relaxing aperitifs after dinner. In the summer season, it is complimented with a large terrace surrounded by the green of the indoor garden. 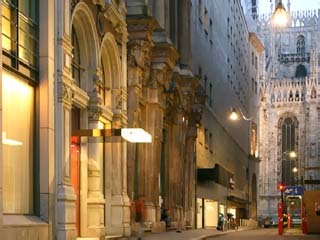 Open till 01:30.